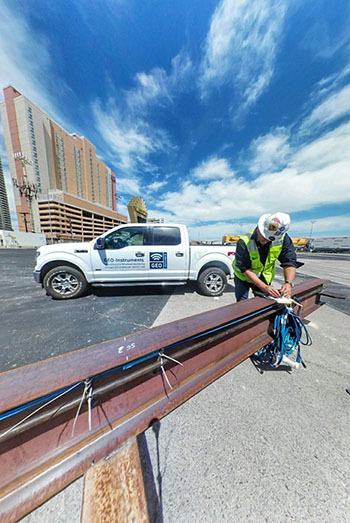 Nevada: These sisterbar strain gauges were deployed to monitor an axial pile load test for a deep foundation in Las Vegas. California: Four of these modular vibration/noise/dust monitors were installed at this site. The automated systems provide alerts and reports. 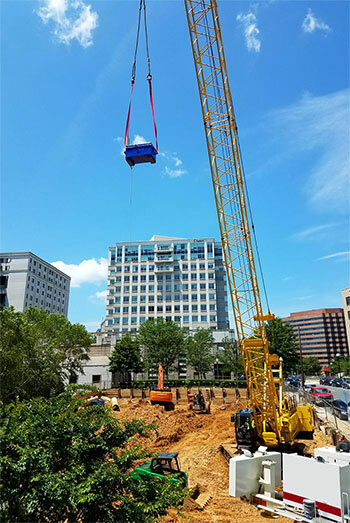 Virginia: GEO’s HD Logger Enclosure is lifted to a rooftop. The enclosure houses an AMTS controller, cell modem, and high-capacity batteries.